Major Pew Center poll highlights social divisions, with different attitudes towards religion's role in the state, whether the Jewish or democratic nature of the state should be supreme, and sharp disagreement between Jews and Arabs about discrimination against Muslims. About half of Jewish Israelis believe Arabs should be expelled or transferred from Israel, according to an extensive survey conducted by the Pew Research Center and whose results were revealed on Tuesday. Pew surveyed more than 5,600 Israeli adults in face-to-face interviews from October 2014 through May 2015 in what it described as a first-of-its-kind poll of Israelis on a wide range of religious, social and political issues. Nearly four fifths – 79 percent – of Arab Israelis say there is major discrimination against Muslims in Israeli society. Jews believe the opposite. The vast majority, 74 percent, says they do not see much discrimination against Muslims in Israel. At the same time, public opinion among Jews is divided on the question of whether Israel can be a national home for the Jewish people while maintaining the Arab minority in the country. Nearly half of Israeli Jews, 48 percent, say Arabs should be deported or exiled from Israel. Religious people tend to be particularly supportive of such a move: about 71 percent agree that Arabs should be expelled. Secular Jews tend to go the other way: 58 percent opposes the idea of expelling Arabs, including 25 who are completely opposed. But some secular Jews agree – about one third would support expelling Arabs from Israel. According to the survey, there is a majority of religious and traditional Jews in Israel: Only 40 percent of Jews in the country are secular, while 23 percent are traditional, 10 percent are Orthodox and eight percent are ultra-Orthodox. In addition, 10 percent of the population is not Jewish: 14 percent are Muslim, two percent are Druze, two percent are Christian and one percent do not have a religion. In comparison, the first census in Israel, conducted in 1949, showed that 86 percent of the population was Jewish, nine percent was Muslim, three percent was Christian and one percent was Druze. But in 2014, only 75 percent of the population was Jewish, while the rate of Muslims in the population doubled to 18 percent, and the rate of Christians dropped to two percent. The proportion of secular people remained mostly stable throughout the years, while the rate of traditional Jews - who often only display a moderate level of religious observance - dropped the most. 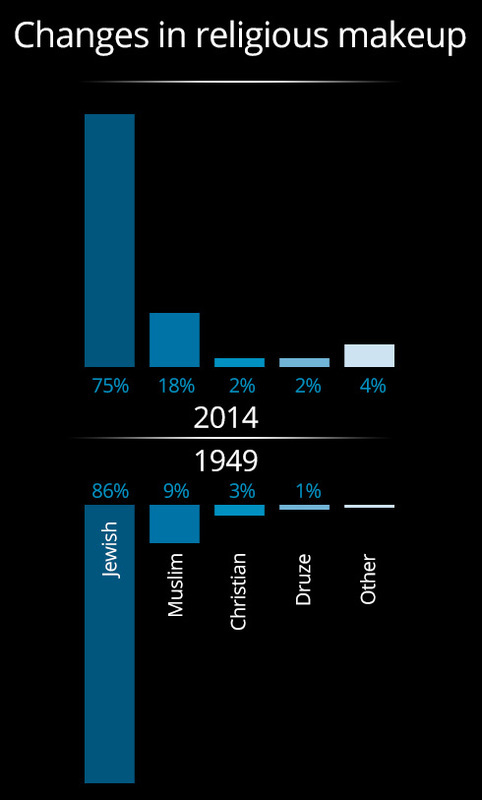 Among the Jewish population, the biggest growth over time was among the ultra-Orthodox. Nine percent of Jewish Israelis in 2013 defined themselves as ultra-Orthodox, signifying a six percent rise within a decade. Between 2002 and 2012, the proportion of Jews aged 20 and over who considered themselves Orthodox jumped from 16 percent to 19. A significant factor for these trends is the size of the family, with 28 percent of ultra-Orthodox respondents aged over 40, both men and women, saying they had seven or more children. For the sake of comparison, only few among the Orthodox (five percent), the traditional (two percent) and the secular (one percent) respondents said they had seven or more children. As a result of the differences in the birth rates, the rate of secular Jews is smaller among adult Jews aged 30 or younger (44 percent) than among adult Jews over 50. Previous studies show a drop in the rates of Israeli Jews who report a moderate level of religious observance in recent years, going down to about one third (34 percent), compared to surveys conducted by the Guttman Center for Surveys in 1991-2009, which found a rate of four in ten moderately observant Jews - meaning roughly 40 percent. Secular Jews see their Jewish identity mostly as a matter of heritage or culture, and this reflects in their beliefs and customs. Few secular respondents go to synagogue every week or pray regularly, and 40 percent said they do not even believe in God. However, wide swaths of secular Israelis observe what could be described as cultural aspects of religion. For instance, 87 percent of secular Jews say they hosted or participated in a Passover Seder in the past year, and about half of them, 53 percent, say that they light Shabbat candles sometimes. Only 20 percent of secular Jews fasted for the entirety of the latest Yom Kippur, compared to 99 percent of ultra-Orthodox Jews, 98 percent of Orthodox Jews, and 83 percent of traditional Jews. Those who define themselves as traditional are not uniform in their prayer habits. About one in five say they pray every day (21 percent). 15 percent say they pray at least once a week. About a third say they pray once a month or infrequently (32 percent). About three in ten traditional Jews say they don’t pray at all (31 percent). Almost all secular Jews drive on the Sabbath (95 percent). One this subject as well, traditional Jews are more divided, with a slightly higher percentage saying they do drive on the Sabbath (53 percent), over those who say they do not (41 percent). Most Jews, across the religious spectrum, agree that Israel can in principle be a simultaneously Jewish and democratic state. However, they are divided on the question of what has to happen in practice when democracy clashes with the Jewish Halakha (Jewish religious law). The vast majority of secular Jews (89 percent) say that democratic principles should be given priority over religion, while the same kind of majority among the ultra-Orthodox public (89 percent) say that religious law must be given the higher spot. The groups are also divided on what the essence of Jewish identity is. Most ultra-Orthodox Israelis say that being Jewish is mostly a religious matter, while more secular Jews tend to say it’s a matter of heritage and culture. For some, Jewish identity is also tied to Israeli national pride. Most secular Jews in Israel say they see themselves as Israeli first and only then as Jews, while most Orthodox Jews say they see themselves as Jewish first and Israeli second. More than three quarters of Israeli Jews, 76 percent, believe anti-Semitism is common and only growing throughout the world. About nine in ten say a Jewish state is crucial for the long-term survival of the Jewish people. Most ultra-Orthodox and religious Jews (86 percent and 69 percent, respectively) support making Jewish religious laws Israel’s official legal code. In comparison, most traditional (57 percent) and the vast majority of secular Jews (90 percent) oppose such a move. For example, a clear majority of ultra-Orthodox and religious Jews say public transportation should stop on Shabbat, while 94 percent of secular Jews oppose this. Traditional Jews are split, with 44 percent supporting the position and 52 percent who think certain transportation options should be available in at least some places. Intermingling of men and women in public is another divisive point. A strong majority of ultra-Orthodox Jews, 62 percent, supports gender segregation n public transportation used by the ultra-Orthodox public. Among secular Jews, only five percent support this policy. The vast majority of secular Jews, 93 percent, oppose enforced gender segregation on public transportation, even if the transportation serves ultra-Orthodox people. The ultra-Orthodox strongly oppose allowing non-Orthodox rabbis to conduct marriages in Israel, while most secular Israeli support altering the existing law in order to permit Reform and Conservative rabbis to preside over weddings. Another finding was that the children of immigrants from the former USSR are more religious than their parents: 70 percent of second-generation immigrants say they believe in God, higher than the 55 percent of first-generation immigrants from the former USSR. In general, more religious Jews count themselves among the political right (56 percent) than the center (41 percent). The ultra-Orthodox, however, tend to split between the ideological center (52 percent) and the right (47 percent), which is also the case among traditional Jews. Most secular Jews, 62 percent, define themselves as leaning towards the political center. Secular Jews are more likely to consider themselves on the left end of the political spectrum – but only 14 percent define themselves that way. "This survey must be placed before the decision makers in Israel, before the government of Israel. It points to the need to address our problems at home, more than ever," President Reuven Rivlin told representatives from the Pew Center who presented him with the report on Tuesday. “When I spoke in June last year at the Herzliya Conference, about the four tribes of Israeli society, I wished to place a mirror for us to look into. Looking at us as a society, it is clear we believe Israel is – in one breath – a democratic and Jewish state. The idea that the State of Israel could be democracy only for its Jewish citizens is unconscionable and we must find a way to address this." Rabbi David Stav, founder of Tzohar Rabbinical Organization, said that the study "serves as a further wakeup call to the position that we have been advocating for the past two decades; Israeli Jews wish to practice their Judaism but want to do so in a manner that is not coercive or manipulated by the institutions of the State." "Most troubling, the study drives home the reality that if we don't find a manner to address these concerns over coercion, we are essentially creating a recipe for two Jewish nations within one state," he added. Unlike the political elite and Zionist activists, the Western public had not known or cared much about the Zionist project in Palestine before the establishment of Israel. Only after the birth of Israel, devout Christians and many Zionist Jews and secular intellectuals activated the call for sympathy, with the European Jews, to have a secured national home -- not in Europe where they had been ill-treated -- but in distant Palestine, and ignored the immorality and injustice of colonizing it. in support of Israel. Instead of describing the establishment of Israel as European colonization of a country, and the ethnic cleansing of a nation, they focused on the “plight of Jews” in Europe. “Exodus” was presented as a story of “heroism, sacrifice and redemption” that framed the story of Israel’s birth as a just and necessary accomplishment. The story of Israel resonates with the religious belief of devout Christians who constitute the Torah as part of their Christian scripture. In their minds, the distinction between Zionism and Judaism is rarely recognized. Supporters of Israel never cared to learn that Israel was born of the convictions of two men, Britain’s foreign minister Arthur J. Balfour, during World War I, and US President Harry S. Truman, when Nazi Germany surrendered in World War II. Balfour issued the Belfour Declaration in 1917, pledging the British government to foster “the establishment in Palestine of a national home for the Jewish people.” After the World War II, Truman deemed the plight of Jews in Europe a matter of the “highest humanitarian importance”, and pressured the British to implement the declaration and not limit European Jews' immigration to Palestine. Historians Allis Radosh and Ronald Radosh wrote, in their 2009 book, A Safe Haven: Harry S. Truman and the Founding of Israel, that Truman had interest in Palestine due to his deep religious belief since his childhood: “He had read the Bible a dozen times before he was fifteen.” Even if he was not influenced by his religious belief, Truman was a politician, no different from today’s US politicians, and there were even more activist Jews in the US than in Great Britain. The racially motivated stereotypes of the Arab and Muslim worlds were invented by Western colonialists and, propagated by their media, served as implicit support for the Zionists' colonial ambitions in Palestine. And, at the same time, there were no impartial historians like Benny Morris and Ilan Pappѐ, or Arab intellectuals in the mould of Edward Said or Salman Abu- Sitta or Ramzy Baroud to tell the real story about colonizing Palestine. As more archival material became available, the crimes and the expulsion of Palestinians, as a matter of historical fact, have been confirmed. An estimated 750,000 Palestinians had fled Palestine or been expelled from their homes by the Jewish military, and tens of massacres were committed. More than ninety percent of the inhabitants of Haifa, Tibrias, Beit She’an, Jafa, and Acre cities had vanished. “531 villages had been destroyed, 11 urban neighborhoods had been emptied of their inhabitants” and thousands of civilians were massacred, according to Ilan Pappѐ's "The Ethnic Cleansing of Palestine". Roughly 15 percent of Palestinians remained behind and became Israeli citizens, and all lost their property to expropriation. UN General Assembly Resolution 194 conferred the refugees’ right of return, but Ben-Gurion and all successive Israeli governments never had any intention of implementing it or, even, accepting the return of one single refugee to her/his home in Israel. Even the so-called liberal political Israeli leaders, like Yitzhak Rabin and Shimon Peres, committed some of the worst acts of atrocities against civilian Palestinians, in the process of creating the State of Israel. Yitzhak Rabin, the future prime minister of Israel, the so called “most liberal’ Israeli politician and the recipient of the 1994 Nobel Peace prize, led the military unit that ethincally cleansed two prosperous and peaceful towns of their civilian Palestinians, inflicting great suffering upon the evicted men, women and children. The 1967 war that demolished pan-Arabism left Israel in full control of historical Palestine, including the West Bank and Gaza, and changed the image of the conflict, in the West, from one pitting the Arab world against tiny Israel to one pitting mighty Israel with its formidable military strength against the pitiful Palestinians. The Israel that used to accuse its enemies of denying the Jews a state, is now denying that same right to another people, the Palestinians. A UN investigatory commission chaired by the Jewish jurist, Richard Goldstone, accused Israel of “crimes against humanity” during the three-week war on Gaza in 2009. Editor's note: See video. (WARNING -- Content is extremely graphic in nature. )And, many human rights organizations and activists accused Israel of crimes against the Palestinians in the 2012 and 2014 wars on the people of Gaza, and for occupying, colonizing and enforcing an apartheid regime in the West Bank. Things came full circle after more than seventy years of establishing the permanent international court and “crimes against humanity” category in 1945, for the Nuremberg trials of thirteen surviving Nazi defendants, for the mass murder of Jews and others. Leaders of Israel who like to describe their state as “the Jewish State” stood accused of “crimes against humanity” during their war against the Palestinian refugees. The Israeli State that was widely admired by the West, for its resolution to “never again” allow Jews to be targeted, is now being denounced for targeting the Palestinians. Many international bodies, including some in Europe and the US, joined the denunciation of Israel. They joined the Boycott, Divestment and Sanctions (BDS) movement which calls for the economic and cultural isolation of Israel until it complies with international law on Palestinian rights. British teacher unions have called for the academic boycott of Israel; the United Methodist Church’s General Board of Pension and Health Benefits announced its decision to divest from five Israeli banks it said failed to meet its 2015 investment criteria based on human rights; Norwegian supermarkets boycotted Israeli goods that are produced in West Bank settlements; and, former US President, Jimmy Carter has published a book accusing Israel of practicing apartheid. 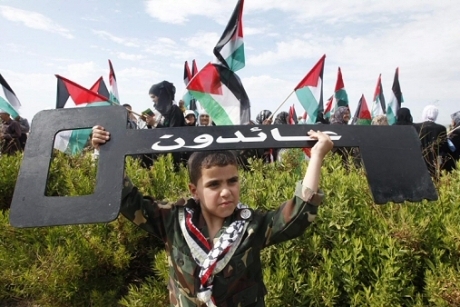 Seventy years after 1947-48 “Nakba”, the Palestinians have won a moral victory. Crimes against them are finally called “crimes” ! Israeli authorities have denied a delegation of six Belgian MPs entry into the blockaded Gaza Strip to visit local NGOs, this week. The delegation, which represents different political parties in Belgium, said in a statement, on Wednesday, that they had arranged the visit for the day before with the United Nations Relief and Works Agency (UNRWA). They had hoped to meet with civil society organizations and take field tours across the beleaguered enclave at the request of the Belgian parliament. “Israel has no right to act in such way which violates international conventions,” the MPs said in their statement. It adds, according to the PNN, to some $90 million Belgium has donated to the agency since 2007. The delegation was lead by Gunel Grufenis of the Belgium Socialist party, and included Van Kwecenuorn, representative of the Open Flemish Liberals and Democrats party, Jean Marc Noly, representative of the Belgian Green party, David Clarnival, representative of the Reform Movement party, Brydia Frogovils, representative of Christian Democratic and Flemish party and Beit Dobren, representative of the New Flemish Alliance party. 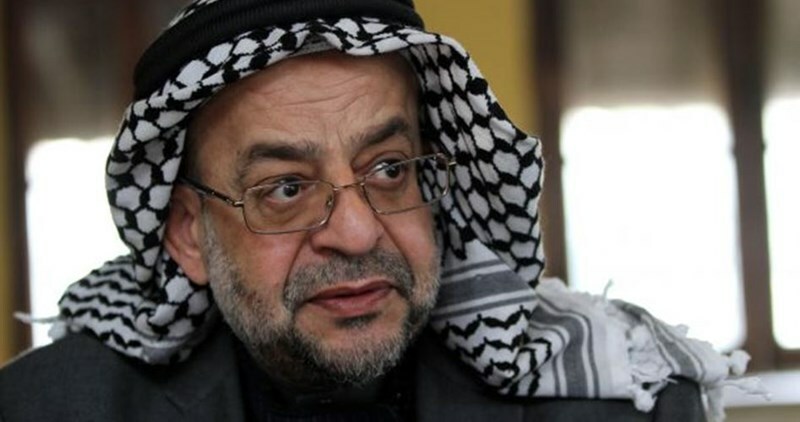 The Palestinian MP and head of the popular committee against the Gaza siege, Jamal Khudari strongly condemned the Israeli ban. He described Israel’s decision as part of its siege on the Strip that deepens the suffering of Gaza people. Khudari also called on the international community and the European parliaments to exert more pressures on Israel to end Gaza siege. Adalah unpacks 10 Israeli laws and bills with provisions liable to harm Palestinians and those who defend Palestinian rights. The ten laws fall into two categories: a) legislation developed in response to the Third Intifada, i.e. since September 2015 b) legislation that undermines or criminalizes human rights organizations and the BDS movement. The first category is by far the largest; Adalah identifies eight new Israeli laws or bills that have been developed since September 2015 and function or can be expected to function to criminalize Palestinians and/or strip them of essential legal protections. The first three laws Adalah analyzes reflect the Israeli government’s interest in severely punishing Palestinians convicted of a crime. First, Amendment 120 to the Israeli Penal Code imposes mandatory minimum prison sentences of two or four years on persons convicted of stone throwing or similar acts. According to Adalah, this law targets young Palestinians and dangerously undermines judges’ discretion in determining punishment. Second, is an amendment to the National Insurance Act, which allows Israeli authorities to withhold child welfare allowances from parents of minors convicted of a “security offence” – a charge almost solely leveled at Palestinian children. The third law, an amendment to the Youth Law, imposes fines on the parents of minors found to have offended the Israeli Penal Code. Adalah argues that the timing of this law (enacted on November 2nd, 2015) suggests that, in practice, it too will target Palestinian children and their families. Adalah also points to worrying developments to the Israeli government’s “Stop and Frisk” Law. Whereas prior to its current articulation, the police could only stop and frisk passersby if, in Adalah’s words, “there was a reasonable suspicion that he or she was carrying a concealed weapon or other object intended for use in criminal activity,” now the police may search someone “in case of reasonable suspicion that he or she is about to commit a violent act.” Moreover, the law stipulates that if a district chief of police temporarily declares an area a “stop and frisk zone,” any person in the area can be stopped-and-frisked. This law was enacted recently, on February 7th, 2016. Fifthly, Adalah points to Amendment No. 4 to the Criminal Procedure Law, which strips essential procedural safeguards from detainees suspected of committing “security offenses” by extending the permitted period of detention before “security suspects" are brought before a judge or meet with a lawyer. In specific cases, the law also allows for “security suspects" to be absent from some of their own legal hearings. Adalah cites the “Suspension of MKs” Bill as another worrying development in the Israeli legal system. If approved, the bill would allow for a Member of Knesset (MK) to be ousted from the Knesset if a majority of 90 MKs deem an MK guilty of denying the existence of Israel as a Jewish and democratic state, incitement to racism, and/or support of an armed struggle against Israel. The bill was developed in direct response to Palestinian MKs in the Knesset. The last two bills identified by Adalah as drafted in response to the Third Intifada establish broad definitions of terrorism and incitement to terror. The “Counter Terrorism” bill is a lengthily piece of legislation that, along with mobilizing vague definitions of terrorism and terrorist organizations, strengthens the power of the Israeli police and security services to suppress protests and use “interrogation techniques.” The “incitement to terrorism” bill establishes incitement to terror as a special category within the state’s incitement laws, and, predictably, lowers the bar for what constitutes incitement to terror. Finally, Adalah identifies two bills that target human rights organizations and the BDS movement. First, the NGO “funding transparency bill” requires NGOs receiving more than 50% of their funding from foreign governments to indicate that they are funded by foreign governments in a number of situations, primarily when dealing with the Israeli government. It also levels heavy fines against such organizations for failing to do so. Lastly, is the anti-boycott bill will ban people, non-citizens and residents who call for a boycott of Israel or represent entities that advocate for a boycott from entering Israel or any of the occupied territories. For an in-depth analysis of these laws and bills read Adalah’s full report [PDF].